Today as an American Christian, you can find encouragement just about anywhere. There are thousands of sermons online, live-streamed worship events, endless amounts of Christian books on just about every topic, and a church on every block. On the internet, we are flooded with images of horrific and terrible things that should break our hearts and move us into action. It seems that in this time and with all these resources there is no excuse to have an apathetic heart, shallow relationship with God, or misunderstanding of His will. Yet why do I find that this is not always true of me? Why do I find myself apathetic in heart, feeling distant from God, and having no idea what He is calling me to do? These are questions that I feel are more common than not in the American Church today. I believe that we as the American Church have greatly misunderstood what God desires of us. I feel that we have pursued the “knowledge of God” so hard that we have forgotten to simply believe in Him. We have spent so much time analyzing Him that we have forgotten how to follow Him. We have spent so much time reading and hearing about Him that we have forgotten how to just talk with Him. I feel we have exchanged our greatest teacher of all, the Holy Spirit, for books, sermons, and man’s opinions. So how do we re-engage? I believe the key is gathering together as a corporate body to pray and seek God’s face. 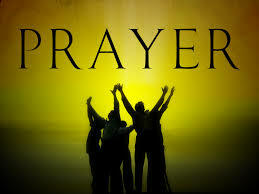 Evergreen House of Prayer (EHOP) provides such a place to meet with God. We have a lot of knowledge; now it’s time to act upon what we know by believing and praying. As we pray, I believe God will touch our hearts in His presence and grow compassion for the things that we never thought we would care for. I believe He will speak to us directly about what our role is in His great story and plan. I believe we will hear from our greatest teacher the Holy Spirit, and we will develop our ears for His voice. As we simply read from God’s word, worship, wait for Him, and pray, He will meet us as individuals and as a church. His invitation is for everyone great and small, old and young. Come, let’s meet with our Father.